Thank you for your attendance at the first VCC Event this term. Jörg Frohberg from Mittelständische Beteiligungsgesellschaft Sachsen gave some really valuable insights into the world of Venture Capital. He also showed some insights from being a founder of Merolt. 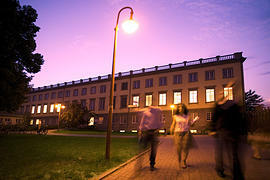 See you at our next event, which will take place in November! 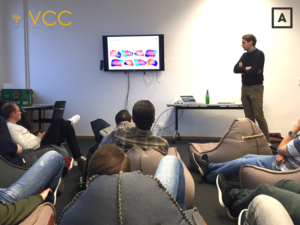 On November 11th Carl-Luis – former HHL student and current investment analyst at Kompass Digital in Berlin – visited the VCC to give practical insight into the work of a VC. Analyzing a fictive pitchdeck together with the group, he proved that working at VC is not only numbers-driven but especially a team game. For more information, like and visit our facebook or Linkedin. 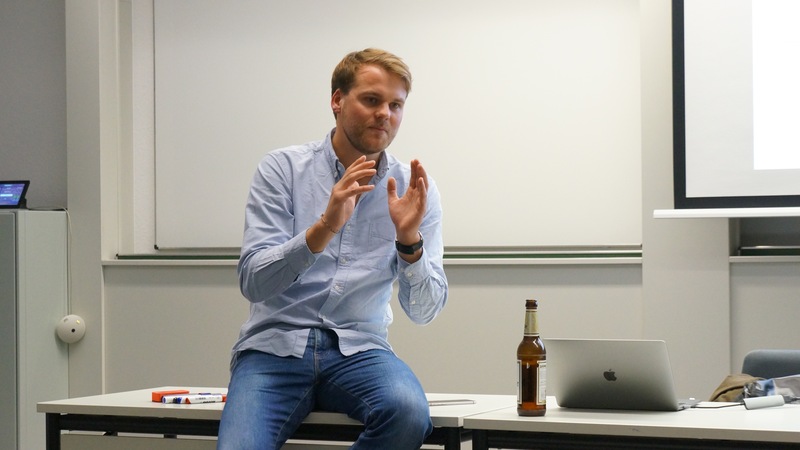 On April 26th Project A Ventures in person of Andreas Helbig came to Leipzig to visit HHL Venture Capital Club. 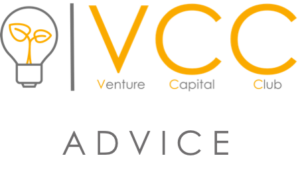 Project A takes a slightly different approach compared to many other VCs by employing around 100 experts from different fields that are available to the ventures for operational support and advise. On April 12th the VCC team visited the SpinLab accelerator in Leipzig Baumwollspinnerei and met with the young recycling start-up binee. The meeting symbolized the start of the new activities of VCC in the field of independent and free support and advise for start-ups in their fund raising process. Mostly, the startup scene only talks about private Business Angels or typical Venture Capital funds as typical capital providers in early stages. 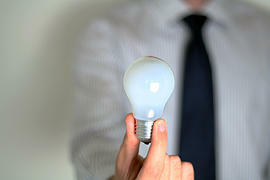 Yet, it is commonly known that there are also other types of funding. Family offices for example, increase not only their impact in later stage investments but also strengthen their position in early stage rounds. 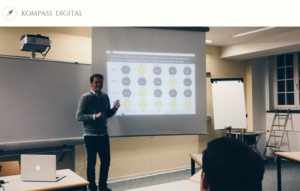 We had the pleasure to welcome Carl-Luis Rieger from Kompass Digital who gave us insights about the daily life of being responsible for early stage investments of a family office. HHL Venture Capital Club invites to the first event of this term. For us, the HHL Venture Capital Club, it is a great honour to have four very different panel discussion participants in order to receive detailed insights into the different perspectives of the topic of social entrepreneurship. Comparing the founder standpoint with the venture finance viewpoint as well as getting insights into the academic and practical perspective on this current topic. Take part in the First HHL International Investors Day. 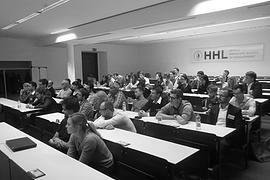 On June 18, 2014 HHL Leipzig Graduate School of Management will hold the first HHL International Investors Day. The event includes keynote speeches by several well-known speakers and panel discussions with founders, business angels, venture capital firms and successful companies concerning the recent topics of digital businesses. 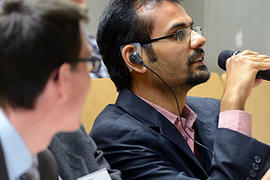 In addition, pre-selected top entrepreneurial teams get the chance to present in front of the investors and a jury. The event will offer great opportunities to network and learn from experienced entrepreneurs and investors. The first internal workshop of the HHL Venture Capital Club with the topic of “Fair value valuation” was held on May 24, 2014. Prof. Dr. Lahmann, holder of the Junior Professorship in M&A of Small- and Midsized Entities; Dorian Procksch, Research associate at the Chair of Entrepreneurship and Innovation management and Christian Hetke, the CEO of futalis discussed various issues concerning fair value valuation of start-ups with the members of the VCC. 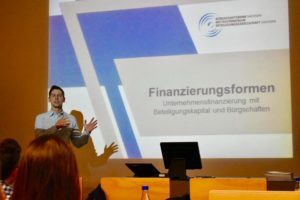 The VCC members gained insights in the Venture Capital business in Germany, the theoretical models of valuation and were able to get compare these findings with a real life example of an alumni entrepreneur. We will welcome Mischa Wetzel, Senior Investment Manager at IBB Beteiligungsgesellschaft mbH, and Hans-Philipp vom Ende, Investment Analyst at Holtzbrinck Digital GmbH. Both will share their views and philosophies on seed and mid-staged funding in the entertainment and creative industry – an area which is very interesting for future HHL entrepreneurs. We will get deep insights about the current development of the market and the experiences our guest speakers make in the venture business day-to-day.